TERRE HAUTE, IND. – The big names from dirt-track racing and future stars in NASCAR Sprint Cup Series converge on the fast half-mile layout at the Terre Haute (Ind.) Action Track for the UMP Summer Nationals stop on Wednesday, July 9. Summer Nationals stars Shannon Babb, Brandon Sheppard, Brian Shirley, Bobby Pierce and Ryan Unzicker – all Central Illinois hotshoes – are battling for the series points title as The Hell Tour heads to the Action Track for a 30-lapper that pays $5,00 to win. They will be joined by a pair of Sprint Cup rookies and two NASCAR veterans. Daytona 500 polesitter Austin Dillon and Justin Allgaier, a Riverton, Ill., native and rising star who was once a regular at Macon (Ill.) Speedway, will compete on the lightning fast track with sweeping corners, and NASCAR stars Ken Schrader and Kenny Wallace will battle in the Summit Modified Nationals for $1,000 to win. Dillon, who drives the No. 3 made famous by Dale Earnhardt, knows his way around the dirt track. Hours after taking the Daytona pole last February, Dillon won a late model race at Volusia County Speedway less than 30 miles down the road from Daytona. A series champ in Craftsman Trucks in 2011 and Nationwide stock cars in 2013, Dillon returned to the truck series and the dirt last season for the inaugural Mudsummer Classic at Eldora Speedway in Ohio. He led 63 laps and won after a green-white-checker finish. The truck, trophy and the famed piece of dirt track were all on display at NASCAR Hall of Fame. Allgaier moved up to Sprint Cup while driving the HScott Motorsports No. 51 Chevrolet, primarily sponsored by Springfield-based Brandt Consolidated. Heading into July, Kyle Larson led the NASCAR rookie point standings ahead of Dillon and Allgaier. Sheppard, of New Berlin, Ill., is the reigning series champ, and the tour returns to the Action Track after a rainout kept the tour from racing the venue last season. Tickets are $25 for adults and $5 for children 11 and under. Pit admission is $35 for adults and $20 for children 11 and under. Pits open at 4 p.m. The grandstands also open at 4 p.m. with racing set to start at 7 p.m. For more information, call 812-232-4040 or 217-764-3200. 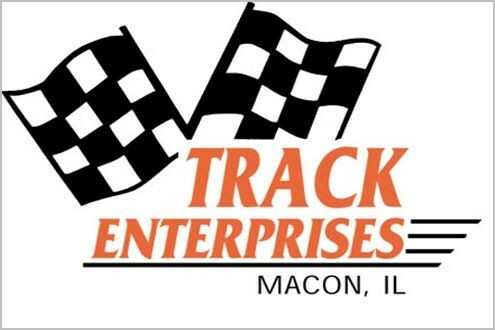 After leaving the Action Track, the tour heads to Macon Speedway for the Herald-Review 100 the following day. Gates open at 5 p.m. with racing at 7.